To celebrate the release of Logan in cinemas this weekend, we’ve got a set of amazing Logan merchandise to giveaway! In the near future, a weary Logan cares for an ailing Professor X in a hide out on the Mexican border. But Logan’s attempts to hide from the world and his legacy are up-ended when a young mutant arrives, being pursued by dark forces. Logan stars Hugh Jackman, Patrick Stewart, Boyd Holbrook, Richard E. Grant, Stephen Merchant and Dafne Keen and is directed by James Mangold. For a chance to win a set of this amazing merchandise, just enter our giveaway via the competition app below! The competition ends at 23:59 on 19 March 2017. 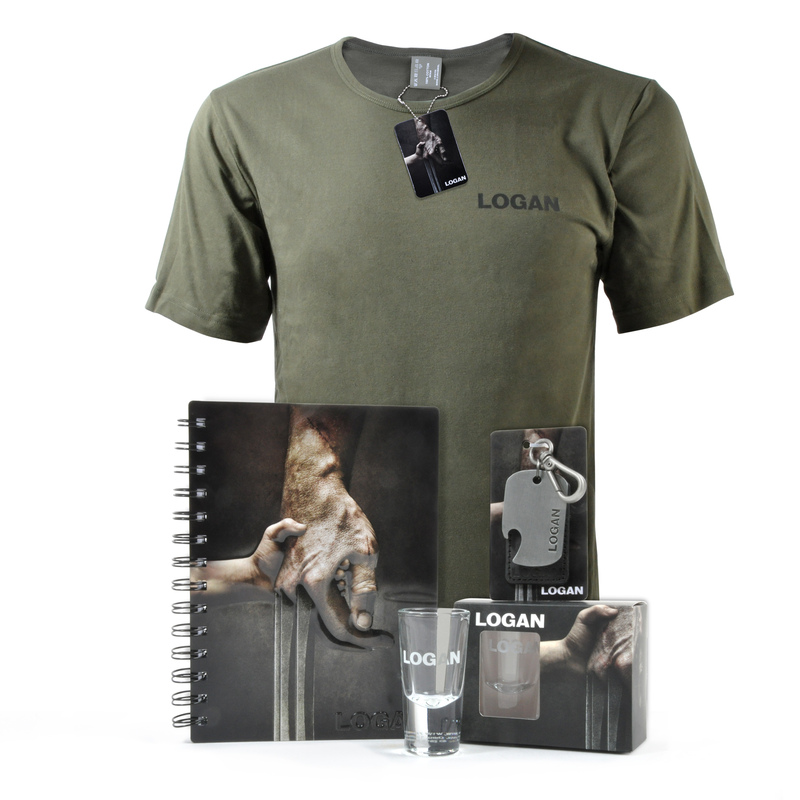 The prize consists of a Logan merchandise pack which includes a dog-tag bottle opener, shot glasses, a metal notebook and a T-Shirt. 2 Comments for "Win Awesome Logan Merchandise!" Enjoy ‘Til the max your fantastic Logan Merchandise Bundle!